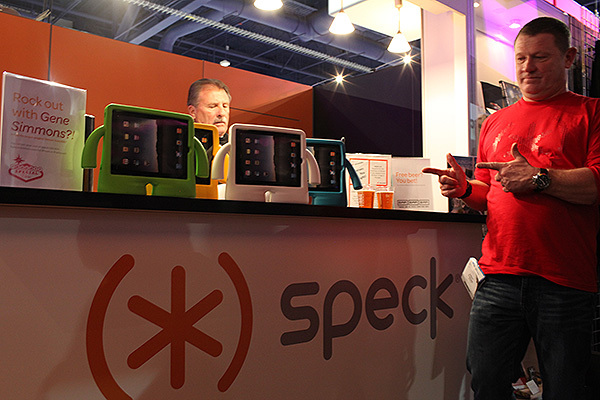 The new Speck iGuy for iPad shown at Speck's booth at CES 2011. These cute iPad looking monsters will be fantastic for kids to interact with. No price or available date released as of yet.